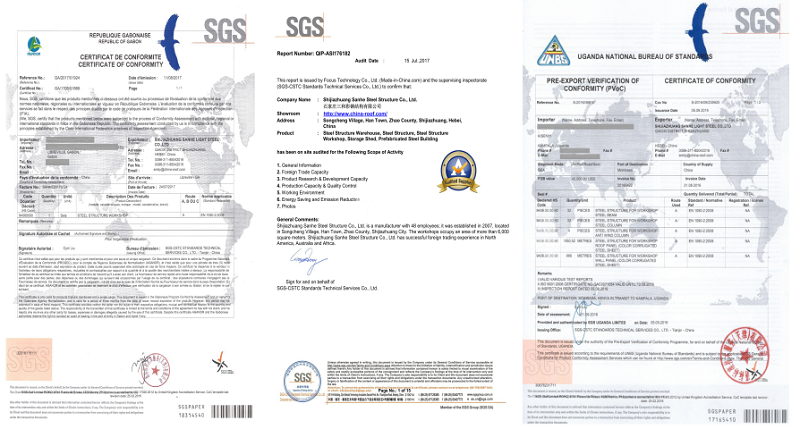 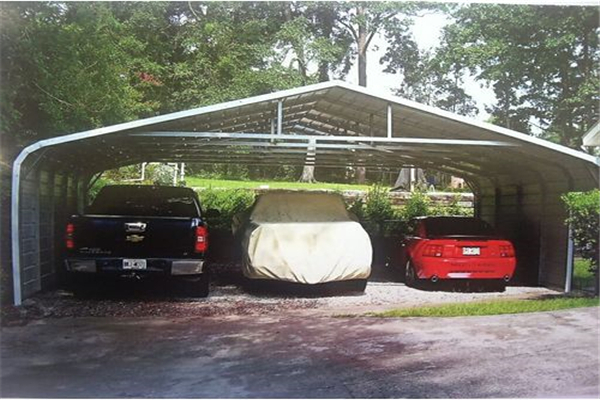 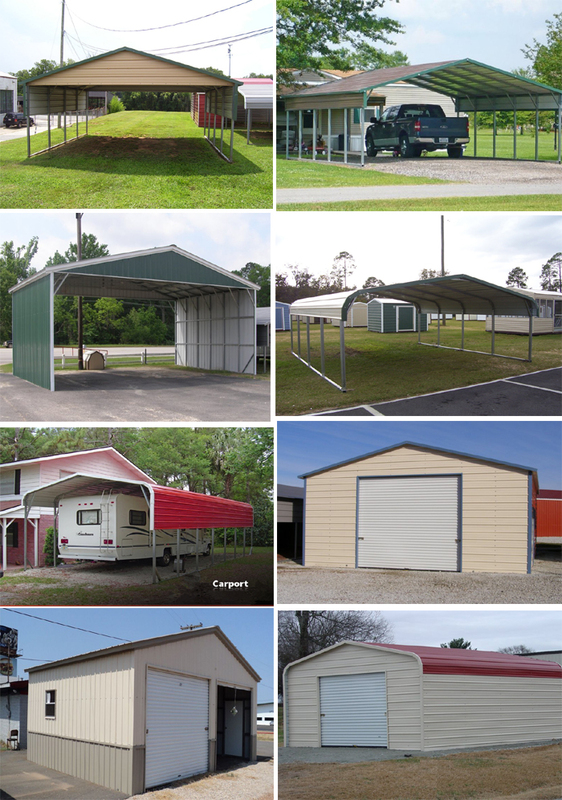 Triple wide steel carports can be built as a carports shelter, partially enclosed or fully enclosed metal garages. 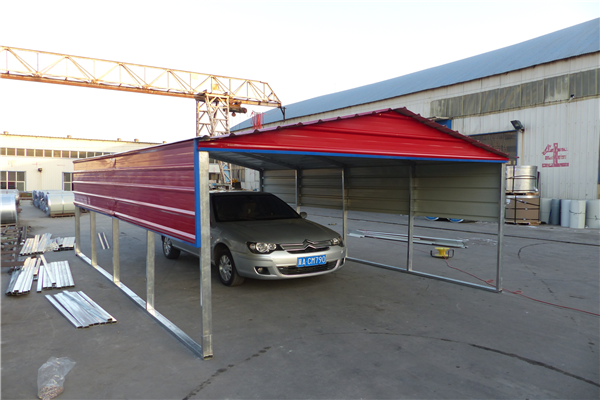 triple wide carports provide a way for more than one vehicle or a substantial amount of valuable equipment. 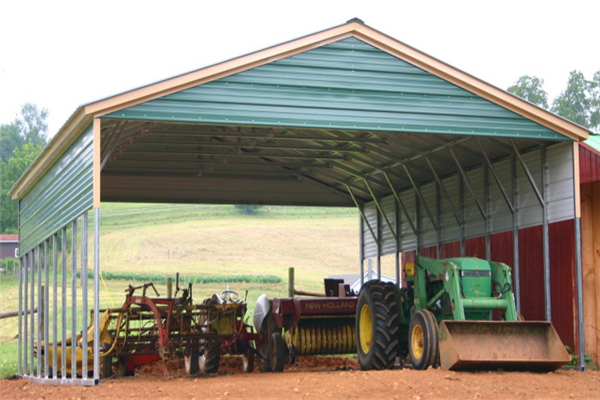 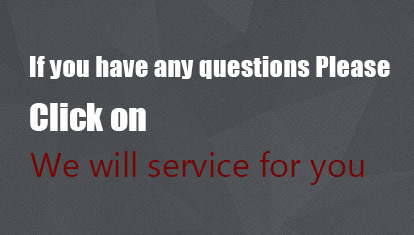 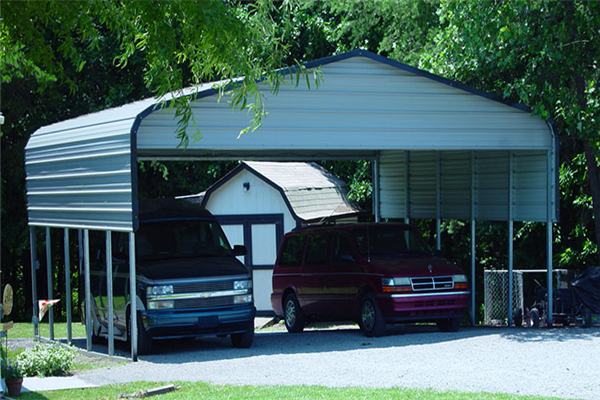 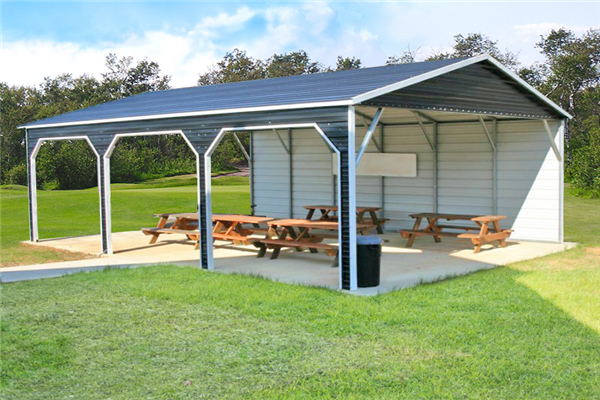 These expanded size metal shelters offer far more coverage than a traditional metal carport. 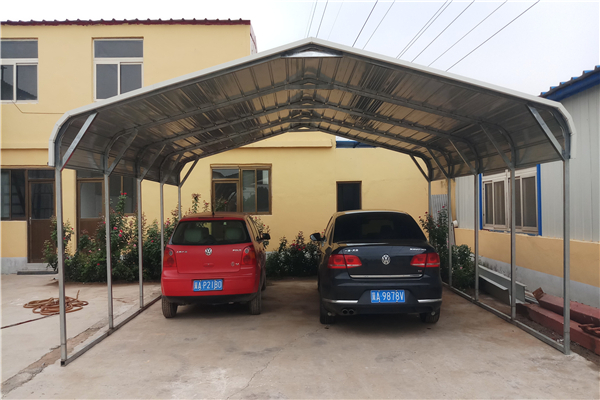 Sanhe offers a huge variety of sizes for triple wide carports to serve every possible coverage need, as well as being able to meet your design aesthetic with several custom options. 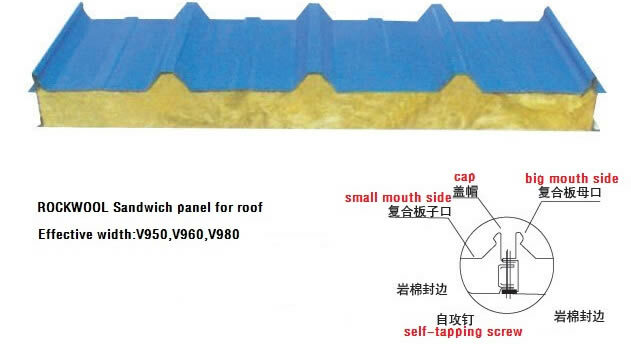 1、The Regular Style roof is a traditional option with slight overhang at the edges. 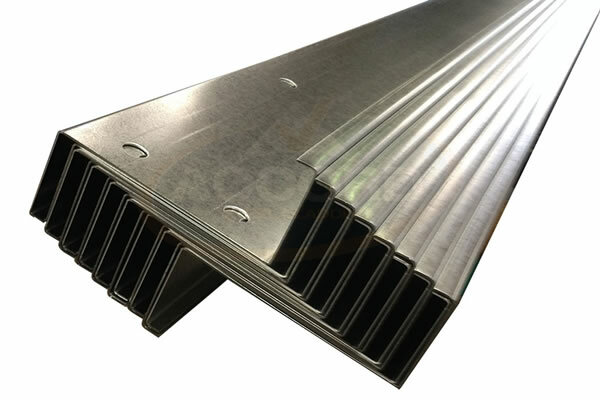 2、The Boxed Eave Style offers a clean look in a simple V shape. 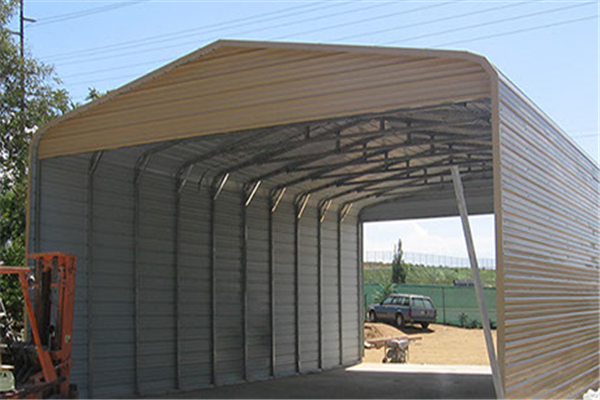 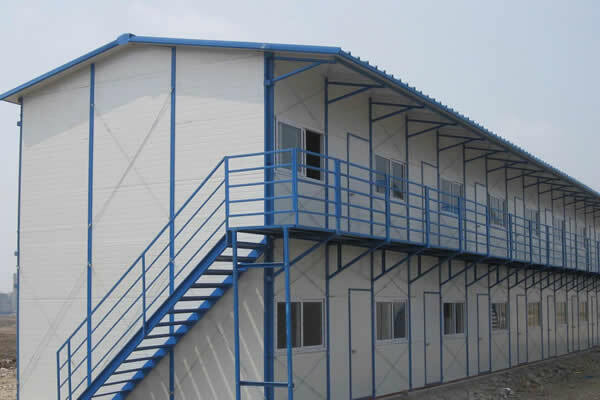 3、The Vertical Roof Style is an advantage for areas with heavy snow, rain, slush, or other precipitation. 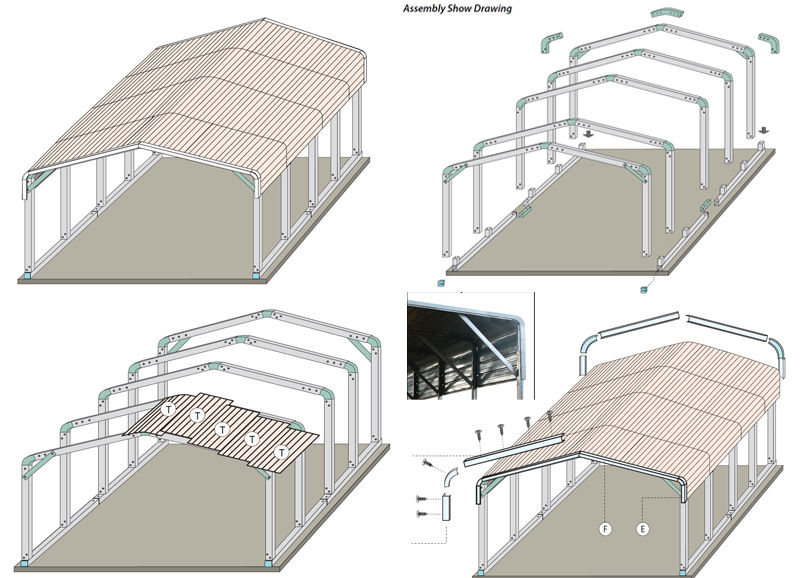 The design of this roof style, which appears very similar to the Boxed Eave Style, allows slush and snow to run right off of the roof instead of getting caught in design crevices.